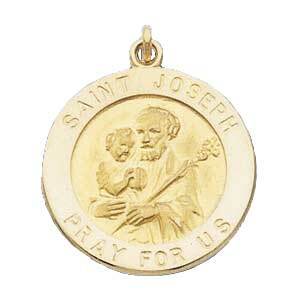 14K Gold Saint Joseph Medal. Patron Saint of Canada, Carpenters, Dying, Fathers, and Universal Church. 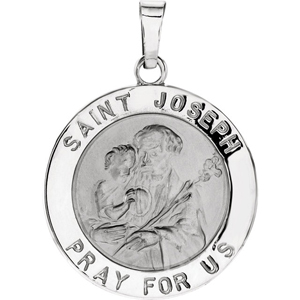 This Saint Joseph medal is available in yellow or white gold.